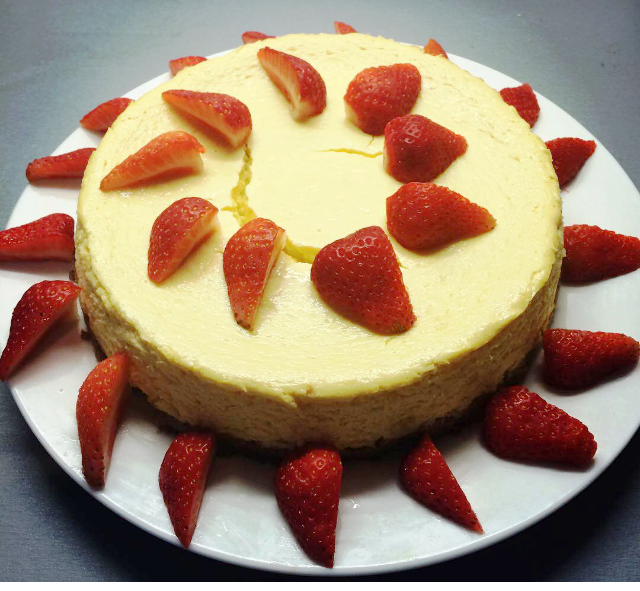 Set up by Helen and Jenny, the idea revolves around that rather marvellous television programme that is the Great British Bake Off. 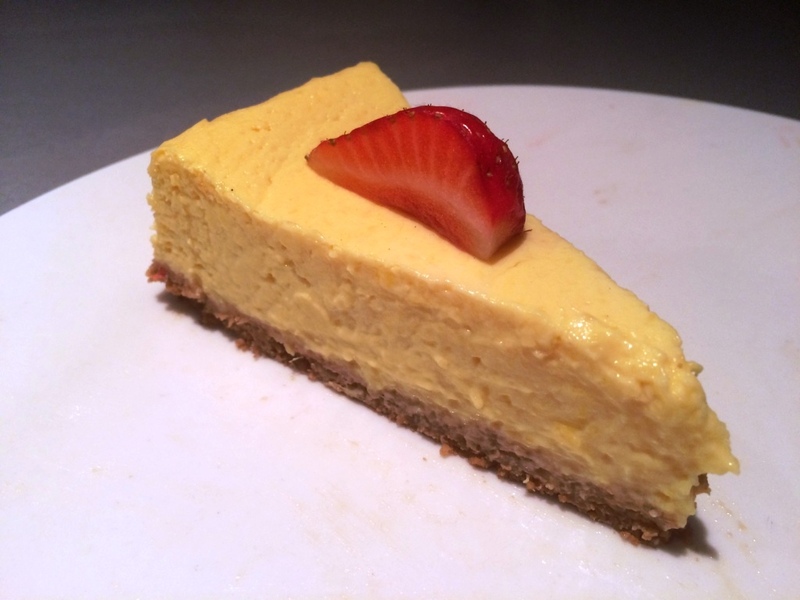 Like many a budding baker, I am absolutely glued to the screen every Tuesday evening at 8pm, but can’t help but have an itch in my hands to what to get into the kitchen and try for myself. 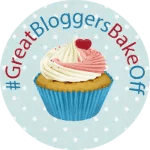 Which is where the Blogger part comes in – as every week the baker blog collective try their hand at one of the challenges featured on the show, and all link up into the Great Blogger Bake Off. Like the show itself, it’s great to see the variety of different things that bakers come up with in the challenges. 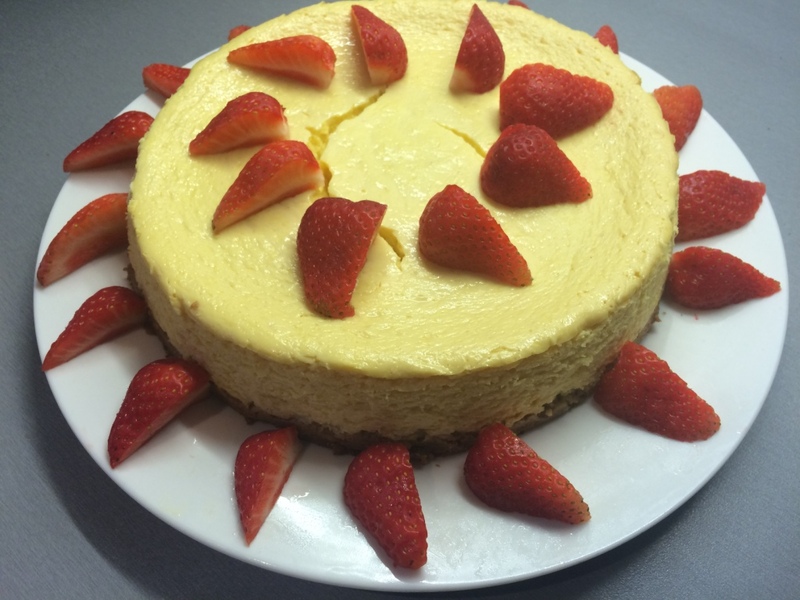 This weeks challenges were trifle, floating islands, or petit fours. 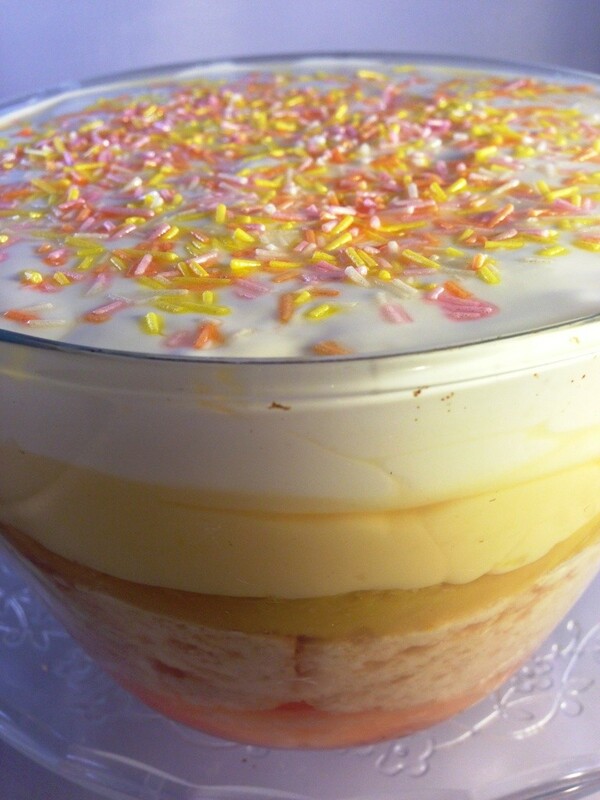 As much as I love minature desserts, trifle has always been a big favourite of mine as my dad makes THE best, and I always got to eat the leftovers when we’d had friend over for tea 🙂 I’ll start by saying that mine wasn’t a patch on his, but I had fun nonetheless. 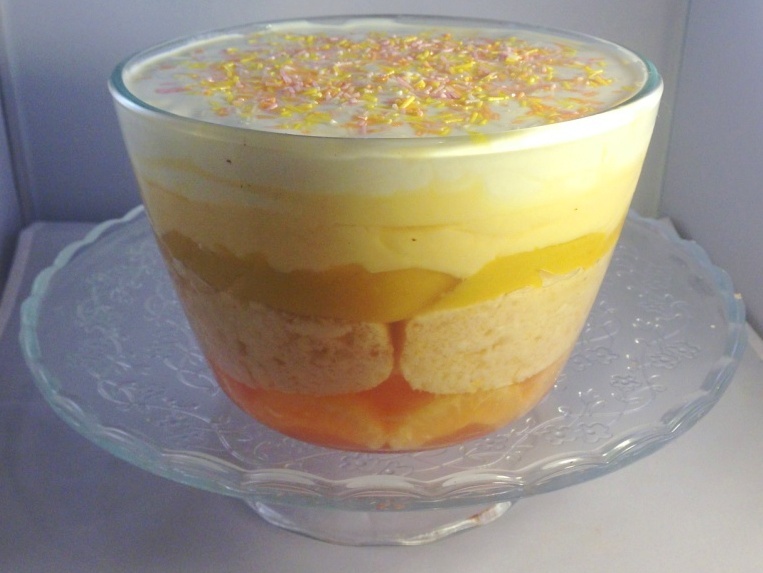 Rob had been watching this weeks GBBO with me and his eyes had positively lit up at the trifles containing mango as he absolutely loves it, and from there my recipe was sprung. 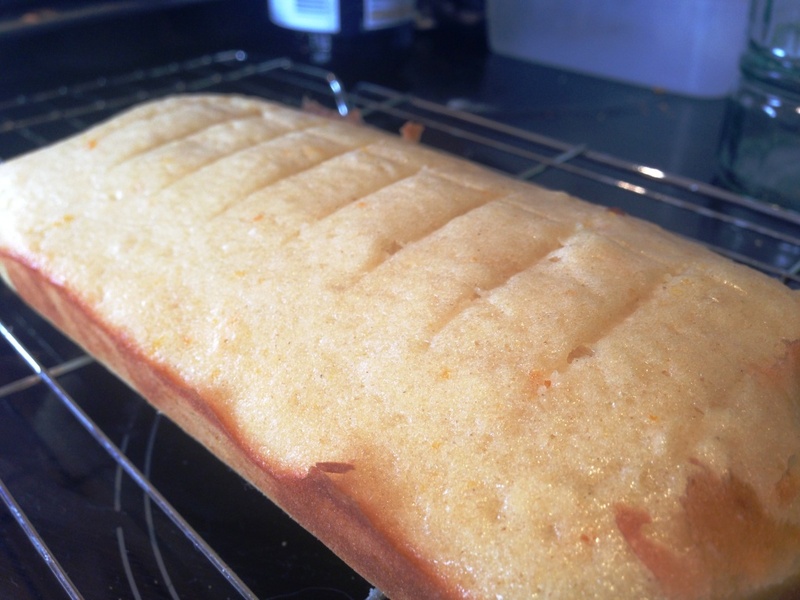 First up I made the cake – as you would with any sponge/madeira – beating the butter and sugar, adding the egg and flavouring, then folding in the flour. 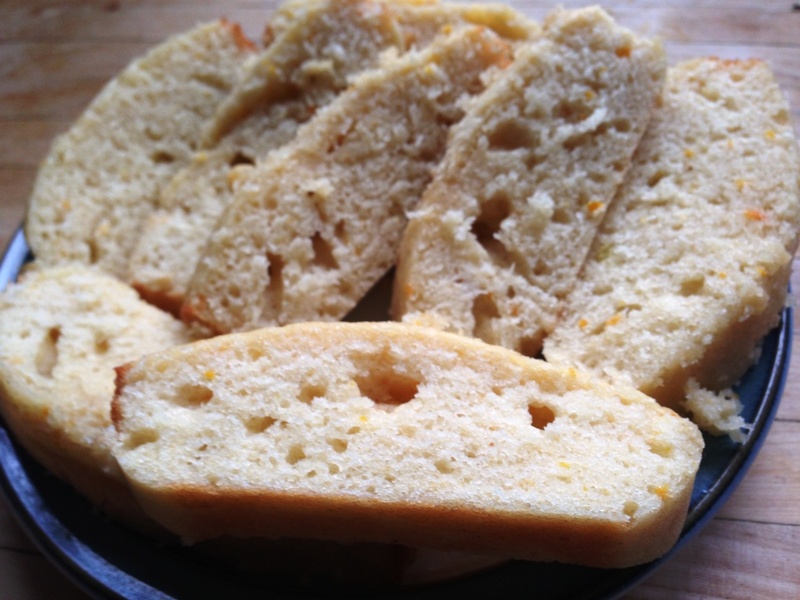 I baked mine in a loaf tin to give a long flat sponge; it took about 15-20 minutes to bake, at 180 degrees. Despite the wealth of dishes, tins, stands and plates in my kitchen, a beautifully decorated, large trifle dish as featured on the TV is sadly not in my possession. Instead, I had to make to with a pyrex dish. Pah. 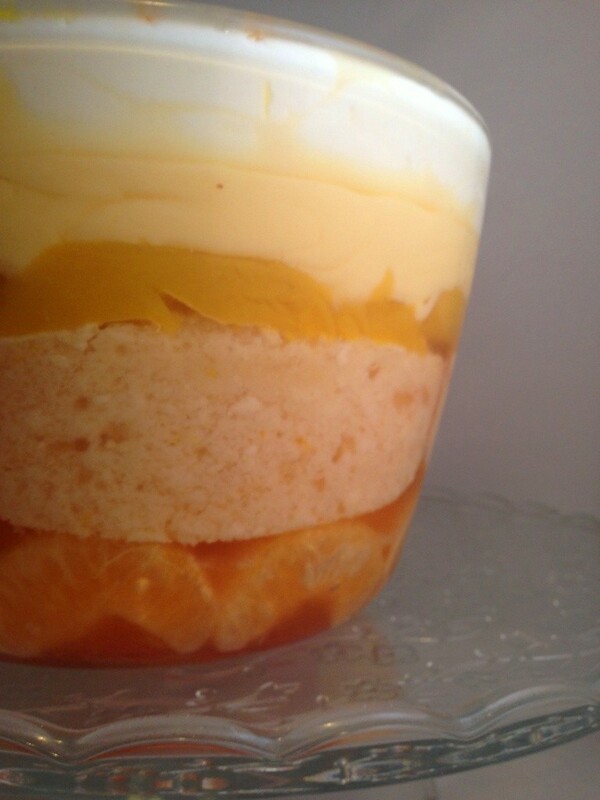 First layer was the orange segments; I de-pithed them using a cocktail stick to get off the tiny bits so they wouldn’t interfere with the smooth texture of the trifle. 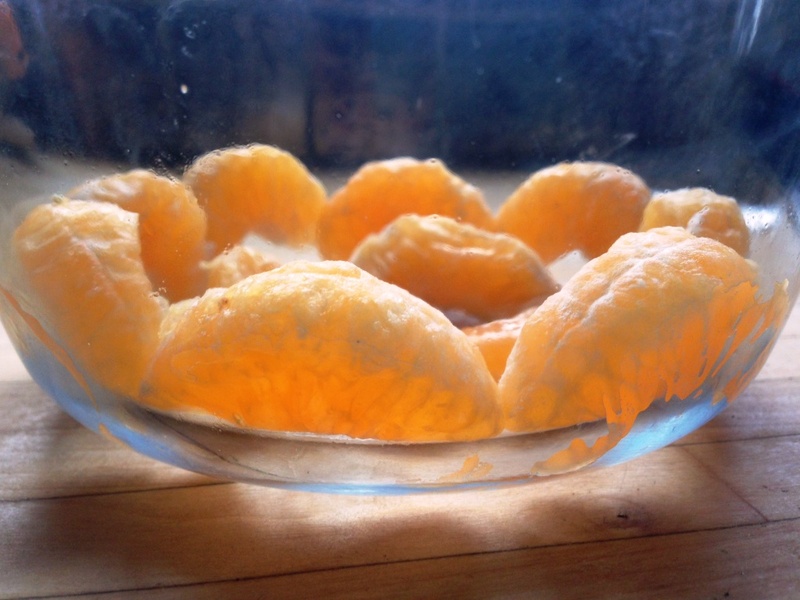 As they were quite moist they stuck well to the edge of the glass and stayed in place even when the jelly was added. I added enough jelly to just cover the segments, and put into the fridge until nearly set. 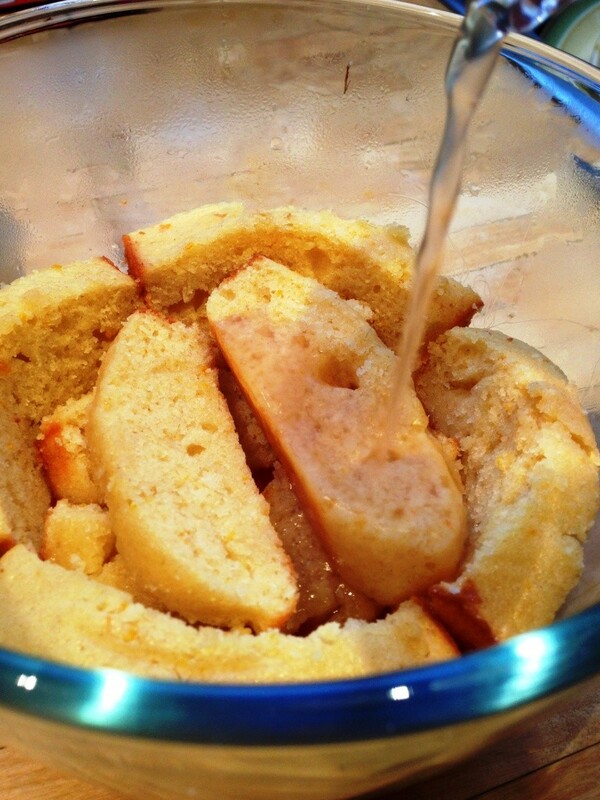 With the cake cool it was time to slice – I love the flecks of orange peel running through. 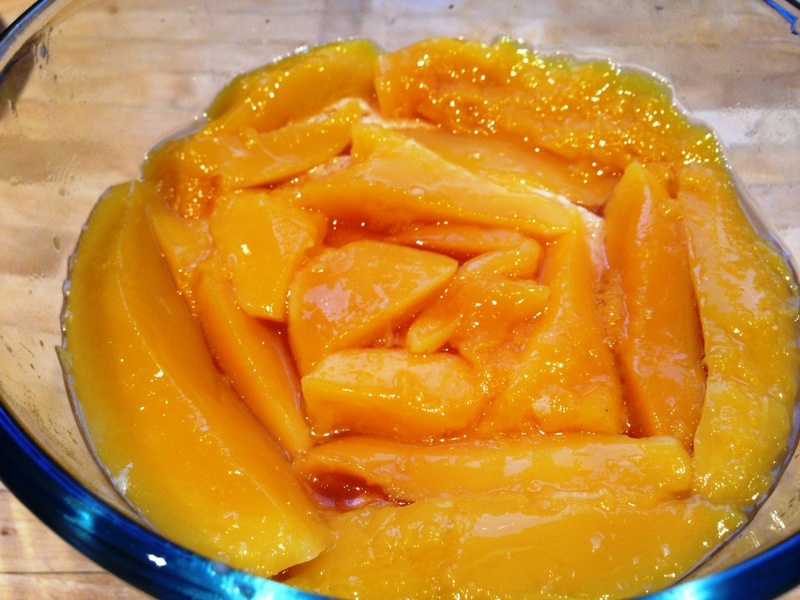 Back into the fridge the bowl went, giving me some time to contend with Rob’s favourite, the mango. 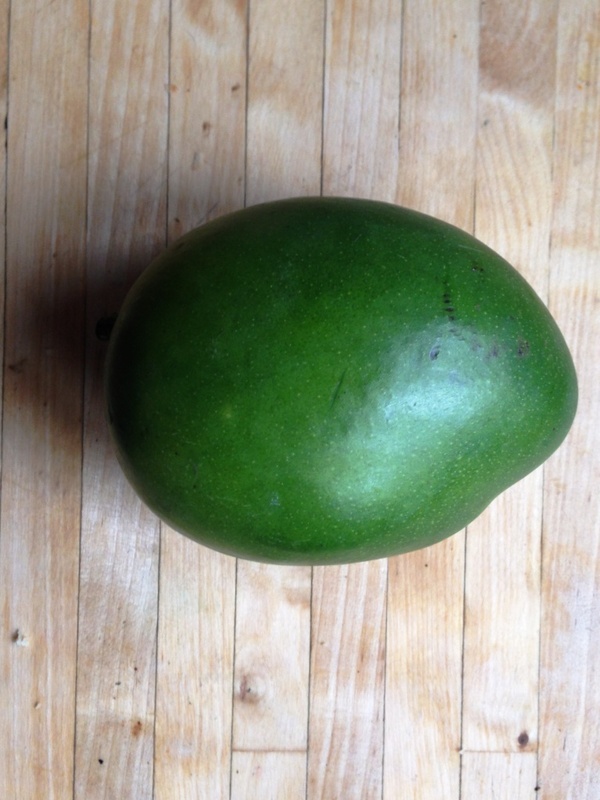 This was beautifully dark green, plump and squishy, just as a mango should be. For peeling and slicing… juicy is the word I’d use. You’ll notice there are no pictures of this stage, it was rather sticky, to say the least! Slices just about intact, they too were layered up and covered in the last of the jelly. 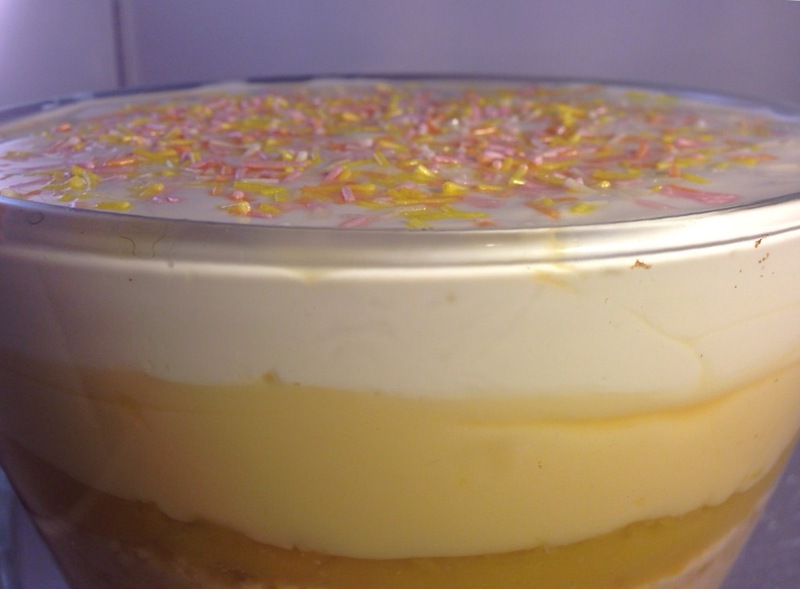 I then gave the whole jelly, cake and fruit layer a good couple of hours in the fridge to set, before layering on the custard, another hour to set, the cream, and last but absolutely essential for any good trifle, the sprinkles! 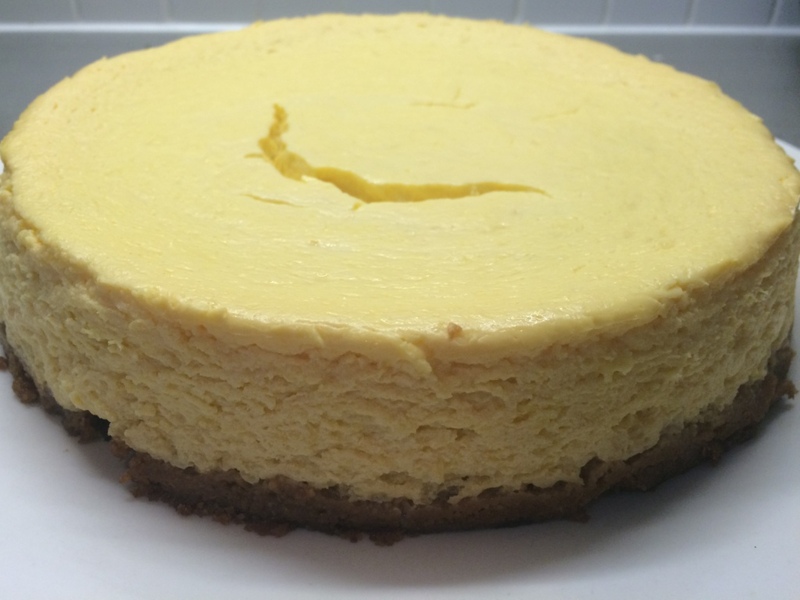 And as for the judging criteria that the contestants on the programme obsess themselves with – well the layers were certainly well-defined (although next time I’d do a thinner layer of cake to look better), and the taste – safe to say I started digging in with a large spoon and struggled to stop. No pictures of this either, it wasn’t pretty!